Introduction: Because of bilateral involvement in many cases with diabetic macular edema, Intravitreal bevacizumab injection perform in both eyes. There are some reports of therapeutic effects in the fellow eye after monocular injection of anti-vascular endothelial growth factors. In this study we describe a case of bilateral improvement of diabetic macular edema following unilateral intravitreal bevacizumab injection. Case Presentation: We report a patient with bilateral non-proliferative diabetic retinopathy and diabetic macular edema. Central macular thickness was 398µ in the right eye and 337µ in the left eye. Two months after intravitreal injection of 1.25mg bevacizumab in the right eye, significant improvement of diabetic macular edema was happened in both eyes including the left eye without intravitral injection. Central macular thickness was 245µ in the right eye and 250µ in the left eye. Conclusion: Unilateral injection of intravitreal bevacizumab may have therapeutic effects in the fellow untreated eye. Therefore; unilateral injection in bilateral cases may reduce the costs and complications of bilateral injection. Meyer CH, Krohne TU, Holz FG. Concentrations of unbound bevacizumab in the aqueous of untreated fellow eyes after a single intravitreal injection in humans. Acta Ophthalmol. 2012;90:68–70. doi:10.1111/j.1755-3768.2009.01842.x. Elman MJ, Aiello LP, Beck RW, et al. Randomized trial evaluating ranibizumab plus prompt or deferred laser or triamcinolone plus prompt laser for diabetic macular edema. Ophthalmology. 2010;117(6):1064-1077.e35. doi:10.1016/j.ophtha.2010.02.031. Elman MJ, Bressler NM, Qin H, et al. Expanded 2-year follow-up of ranibizumab plus prompt or deferred laser or triamcinolone plus prompt laser for diabetic macular edema. Ophthalmology. 2011;118(4):609-614. doi:10.1016/j.ophtha.2010.12.033. Hanhart J, Tiosano L, Averbukh E, Banin E, Hemo I, Chowers I. Fellow eye effect of unilateral intravitreal bevacizumab injection in eyes with diabetic macular edema. Eye (Lond). 2014;28(6):646-653. doi:10.1038/eye.2014.94. Avery RL, Pearlman J, Pieramici D, et al. Intravitreal bevacizumab (Avastin) in the treatment of proliferative diabetic retinopathy. Ophthalmology. 2006;113(10):1695–1705. doi:10.1016/j.ophtha.2006.05.064. Gamulescu MA, Helbig H. Lack of therapeutic effect of ranibizumab in fellow eyes after intravitreal administration. J Ocul Pharmacol Ther. 2010;26(2):213–216. doi:10.1089/jop.2009.0126. Velez-Montoya R, Fromow-Guerra J, Burgos O, Landers MB 3rd, Morales-Catón V, Quiroz-Mercado H. The effect of unilateral intravitreal bevacizumab (avastin), in the treatment of diffuse bilateral diabetic macular edema: a pilot study. Retina 2009;29(1):20–26. doi:10.1097/IAE.0b013e318186c64e. Zlotcavitch L, Flynn HW Jr, Avery RL, Rachitskaya A. Progression to macula-off tractional retinal detachment after a contralateral intraoperative intravitreal bevacizumab injection for proliferative diabetic retinopathy. Clin Ophthalmol. 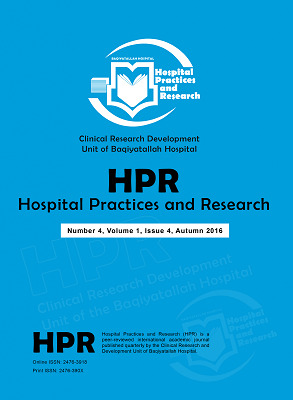 2015;9:69-71. doi:10.2147/OPTH.S69466. Wu Z, Sadda SR. Effects on the contralateral eye after intravitreal bevacizumab and ranibizumab injections: a case report. Ann Acad Med Singapore 2008;37(7):591-3. Bakri SJ, Snyder MR, Reid JM, Pulido JS, Singh RJ. Pharmacokinetics of intravitreal bevacizumab (Avastin). Ophthalmology. 2007;114(5):855–859. doi:10.1016/j.ophtha.2007.01.017. Nomoto H, Shiraga F, Kuno N, et al. Pharmacokinetics of bevacizumab after topical, subconjunctival and intravitreal administration in rabbits. Invest Ophthalmol Vis Sci. 2009;50(10):4807-4813. doi:10.1167/iovs.08-3148.